Alec Baldwin appeared on an extended segment of the US daytime chat show The View, speaking about his new quest: to make significant changes in laws regarding parental alienation in divorce cases. Remorseful about the unforgivably abusive message he left recently on his daughter's answering service that was heard by millions of people when it was released to the media, he said he sought more counseling (from Dr. Phil, no less); that now his mettle is steeled to take action to stop a process in which one parent is unnecessarily alienated from the other when it comes to custody battles. Hear his apology for speaking so cruelly to his daughter and about his drive to help parents who are purposefully and without reason other than revenge alienated from their children here. He explains that he suffers from parental alienation syndrome, which he believes drove him to say the terrible things he did to his daughter. He says he and his legal team have tried to reach out to his ex-wife, Kim Basinger, through her lawyers so they could have a healthy communication for the sake of their daughter, but over the years they have refused. Evidence and common sense reveal there are thousands, if not millions of children suffering even more than their custodial and non-custodial parents, for in the end it is the children who not only carry the burden of their parents' hideous dysfunction and brutal treatment of one another - especially when the child is used as the object of a custody tractor pull - but who go on to spread this monumental sickness in their own relationships as they mature. Even Albert Einstein, arguably the most intelligent man in the world, evah, was not smart enough to avoid being an alienated parent. He suffered for years when he was blocked from seeing or communicating with his two sons following the separation from his first wife. The anguish he endured being deprived of his sons is outlined in his biography Einstein: His Life and Universe by Walter Isaacson. Alec is making it his mission, his legacy to do what he can to make things right, healthy and just - not only for the sake of the children in vicious custody battles, but for all the parents involved - many of whom will go on to remarry and parent even more children. Alec's book on parental alienation comes out this fall. It does not involve his own personal battle, but is rather a treatise on the extent, seriousness and backlash from this barbaric situation that exists in the silence of too many darkened homes, in the tortured minds of too many children, custodial and alienated parents. And it provides answers to heal this rift - revealing how the legal community and others involved too often incite and exacerbate the already miserable situation. 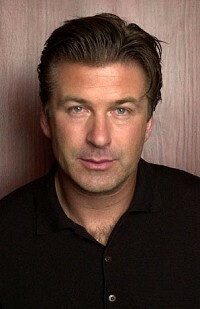 The thing about Alec Baldwin - whether you personally "like" him or not - is that he is a well-intended, rarefied force with which to be reckoned because he is willing to be vulnerable, to let us in, to be as honest as possible with himself and therefore others and to put everything on the line for a cause in which he believes. Any actor reading this will recognize those are the very traits fine actors must possess. And, I'd guess, a good parent. He may be fueled by anger, but his purpose is positive, constructive and three-dimensional, unlike the structure of legal alternatives today for divorcing parents and their children. He's not against anyone, but for fair and just treatment of everyone concerned - especially for the sake of the children and therefore by extension the sake of the parents. Alec says he is going to devote 3-5 years of his life to this cause, that he doesn't care if he ever acts again in this culture of tabloid press. He asked to be released from his hit show, 30 Rock, but (fortunately for fans like me) was refused by NBC. He did not want to hurt the show by all his bad publicity. Who ever released the infamous message? As misdirected as he was in giving the tape to the media, he has set into motion massive attention to unleash the bedrock of a movement that will only grow exponentially to vindicate its target and unleash truthful testimony that has been locked away in bitter, weeping hearts all too long. The mole will find that his actions of embarrassing Alec will backfire in court and actually solidify the relationship between him and his daughter. I suggest that after all the dust settles, Mr. Baldwin will not only rise from these ashes like the mythical Phoenix, but triumph in instigating innovative ways that we cannot even imagine right now to help our culture in the coming months and years.